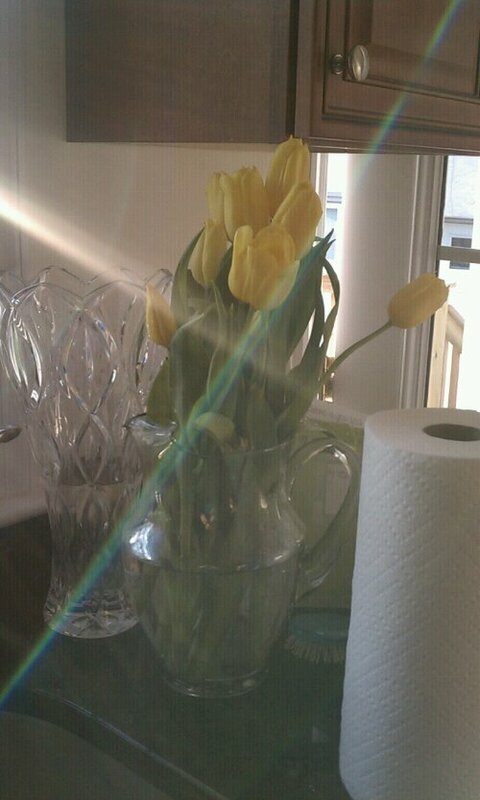 I love flowers, so here are some flowers in my new kitchen. They are tulips from the white people store. I love the late afternoon light in my kitchen. One day, Simba, I will show you all of our realm. Probably when we are unpacked more. Time to invade the Ukraine again. Finally! Mass-produced Mediterranean food! Not to mention, this. What’s the deal with fascinators? I found out. Which books should a U.S. Senator read, part II. Whose house is cleaner? Get out your microscopes.